Ed with Danny (on the right) in his beer cave! We are sad to say that we lost our good friend, Danny Williams, this week. His presence in our lives and in the beer industry touched us deeply, and the world just won’t be the same without him in it. 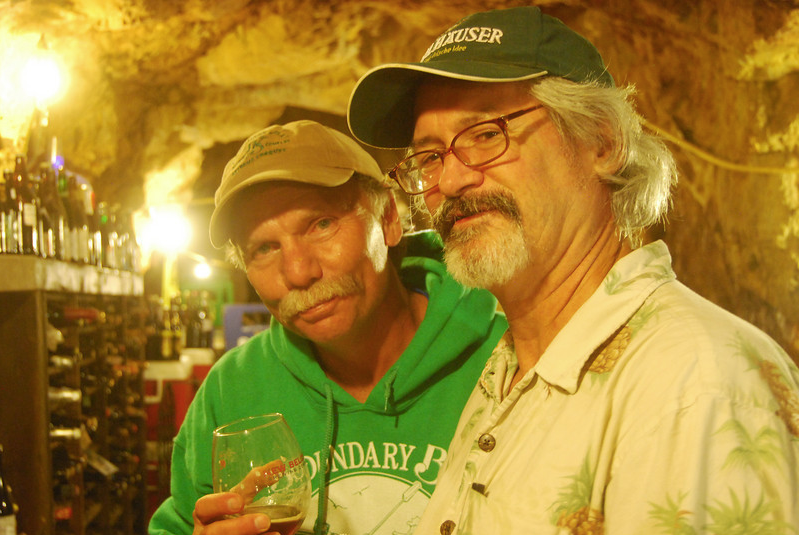 For over a decade, Danny was the cellar master for the Great American Beer Festival and was famous for his beer cave. He created the cellar from a once-working gold mine and now used it to store nearly 3,000 bottles of craft beer. We were lucky enough to visit him there regularly and got to experience his unbelievable beer cellar first hand. Let us all raise a glass today to this wonderful man who left our lives too soon. He will not soon be forgotten. Cheers, Danny – from all of us here at Boundary Bay Brewery! On Saturday, January 21st, a few Boundary Bay Brewery folks will be at Bellingham Technical College (BTC) teaching about Winter Beers. Join Anthony, our Assistant Brewer, and Matt, our Kitchen Manager and BTC culinary program alumni, for an afternoon of Winter Beer Tasting and food pairing! Winter is a great time to stay indoors and warm-up with some great beer and friends. This winter you’ll have the opportunity to do just that at our “Winter Beer Tasting” class…you’ll experience a selection of strong ales, barley wines, and other winter warmers along with pairings of delicious food. The class focus will be on seasonal releases fro the U.S. and Europe plus a vertical tasting of barley wine to see how aging beer changes the flavor. In the class, you’ll get to enjoy two spiced ales, some strong ales and barley wines – including one from Schamlz Brewing that was made with fig, date and grape juices aged in rye whiskey barrels. There’ll even be a two year vertical tasting of Big Foot Barley Wine! Along with all this delicious beer, Matt will be cooking up some focused food pairings to perfectly accompany these big winter beers. Expect lots of seasonal dishes and warm, comforting foods. Perfect for all this chilly, snowy weather we’ve been having! 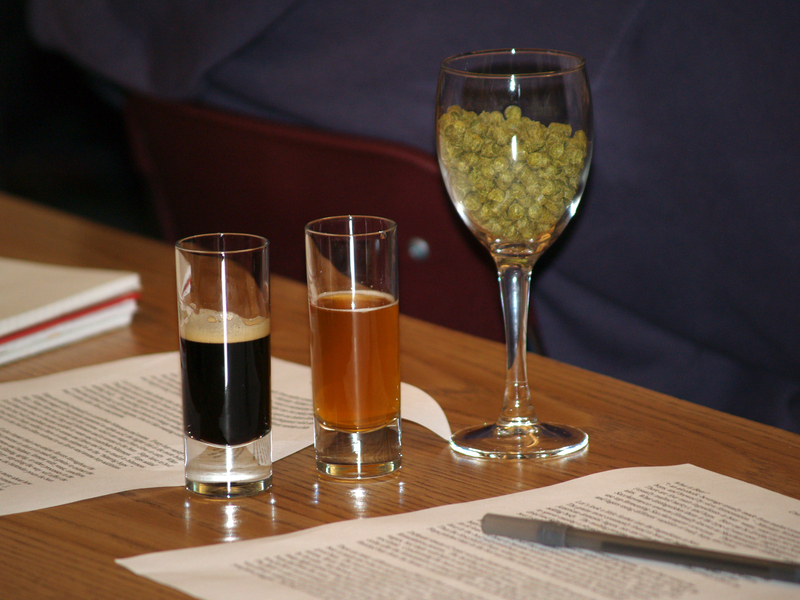 There are still six seats left in this Winter Beer Tasting class, so call Bellingham Technical College or register online and reserve YOUR spot for this Saturday! Cheers. Oh, and if you’re STILL not convinced, check out this blog about the beer pairing class Anthony and Matt did last April. 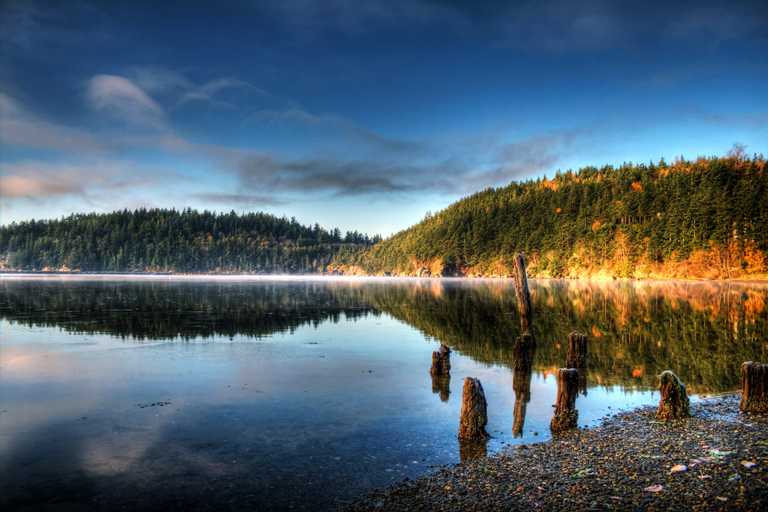 Join Boundary Bay Brewery for a Beer vs. Wine Dinner at Semiahmoo Resort on Saturday, January 28th. This Beer vs. Wine dinner will feature five courses prepared by Semiahmoo’s culinary team, each paired with two beverages: a craft-brewed beer from Boundary Bay Brewery and a specially selected wine from Chateau Ste. Michelle. Enjoy lively discussion between dinner co-hosts Boundary Bay owner, Ed Bennett, and Chateau Ste. Michelle’s Head Winemaker, Bob Bertheau. Let your taste buds be the judge and cast your votes thoughout the evening for your favorite food and beverage pairing in each course. The dinner is $69 per person. 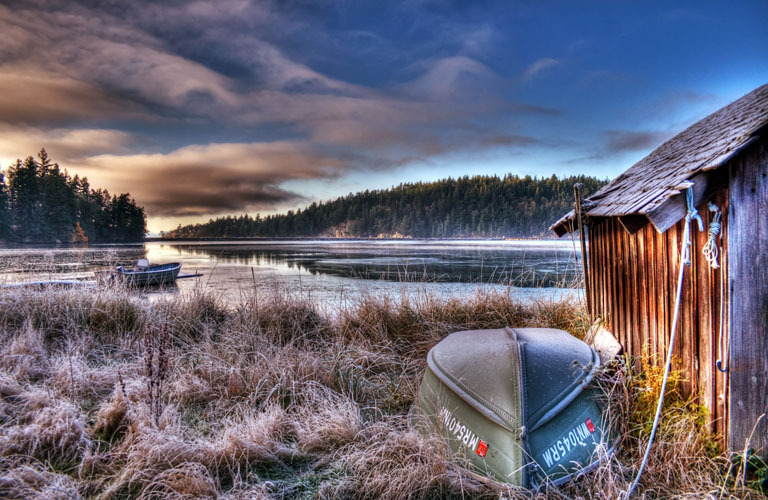 Or choose the Hotel and Dinner package for two for $289. For reservations call 1-800-770-7992 or book online here. Simple Salad with bitter lettuce balanced out with roasted tomato dressing which has a touch of sweetness. The Duck adds a nice richness to the dish and helps bring it all together. Quick cured Salmon is then poached at a very low temperature in Olive oil so that it holds all of it flavor and moisture in. Sort of an East meets the northwest style dish. Beef Tenderloin will be crusted in Porcini Mushrooms and served with Roaring 40’s Blue cheese, a cheese from southern Australia which is matured in wax keeping it very moist and buttery. The earthiness of the mushroom pairs nicely with the creamy cheese which has a hint of nuttiness to it. 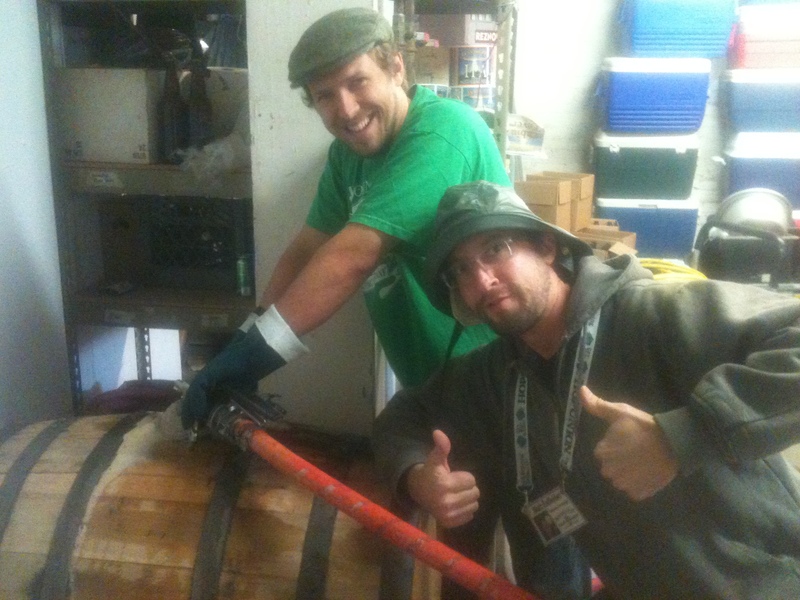 giddy while filling the Dry Fly barrels with Scotch Ale! * We partnered up with Dry Fly Distillery (in Spokane, WA) to try barrel aging a couple of our beers. 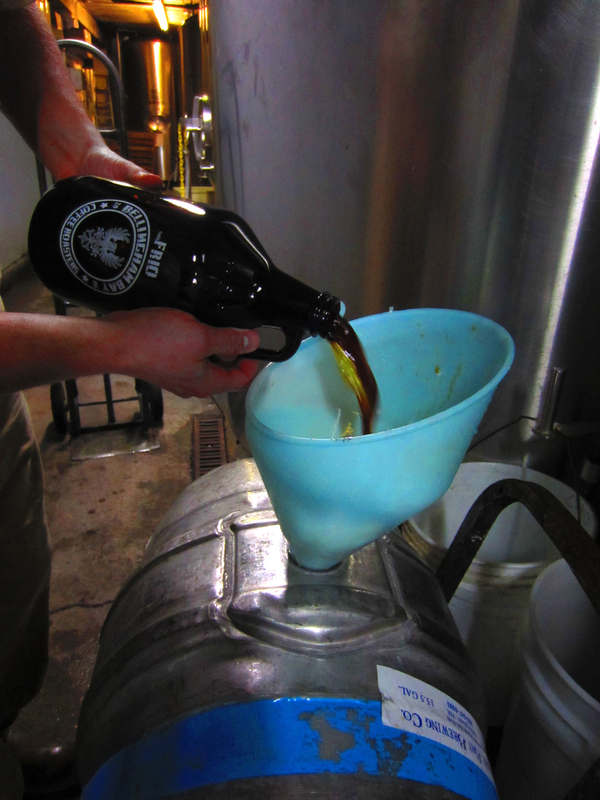 First up was our Scotch Ale which was consumed with gusto and our Oatmeal Stout is currently aging – to be released soon. The project was a great success and we’re already looking forward to trying more barrel aging in the new year. * We brewed up our very first Cascadia Dark Ale and cast our two cents in the debate about what to name this elusive beer style. We still think Black IPA just doesn’t cut it and retain our vote for Cascadia Dark Ale in honor of the region this iconic style was birthed in. 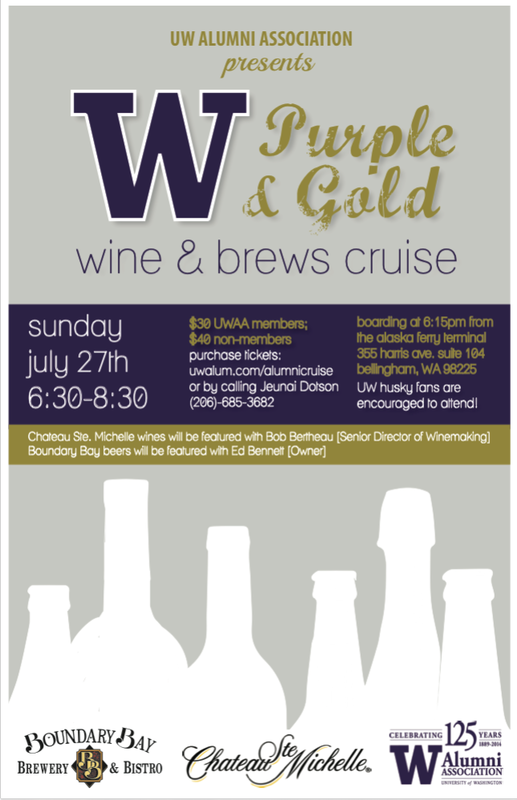 * We jumped in to our first of (hopefully) many Beer vs. Wine dinners at Semiahmoo Resort. Craft Beer is gaining ground as a food pairing phenomenon and we’ve had a lot of fun challenging Washington wineries like Chateau Ste. Michelle to see which beverage comes out on top. We’ve got our next Beer vs. Wine dinner on January 28th, so why not make it one of your New Years resolutions to join us and open your mind to the possibilities of beer and food pairings?! * We began highlighting our Local Connections through short video blogs, which turned out to be a great way to connect our customers and our suppliers. It’s been inspiring to connect with those who are passionate about what they do, and we’ve enjoyed visiting the farms who grow our food and the great cafés, bars and restaurants who serve our beer! We’ll start the new year with a behind-the-scenes peek at Ralf’s Bavarian Pretzels and show you exactly why we love working with this awesome local business. our shirt on the Discovery Channel! 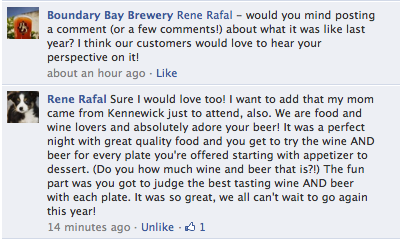 * Our relationships with craft beer lovers across the country (and into Canada!) are continuing to grow and strengthen: our beer was officially poured for the first time in Hawaii when we took part in the Kauai Beer Festival, we’ve expanded our distribution into British Columbia which has been received with MUCH enthusiasm and our little brewpub was even written up in the Vancouver Sun, EnRoute: the AirCanada in-flight magazine and the American Airlines in-flight magazine! * We were honored to find out that Bellingham Firefighters refer to our brewpub as Station 7 (since there are 6 official fire stations here in town) – so, with their input, we created a Station 7 shirt and are donating the proceeds from shirt sales to Camp Phoenix which is a camp for child burn victims. * We have continued to take full advantage of our own success and to spread that love by doing everything we can to support local nonprofits. Every year, we donate to over 100 local charities and this year, for the first time, we became a sponsor of the Dirty Farm Trek – a physical and mental obstacle race put on by the VZ Foundation. 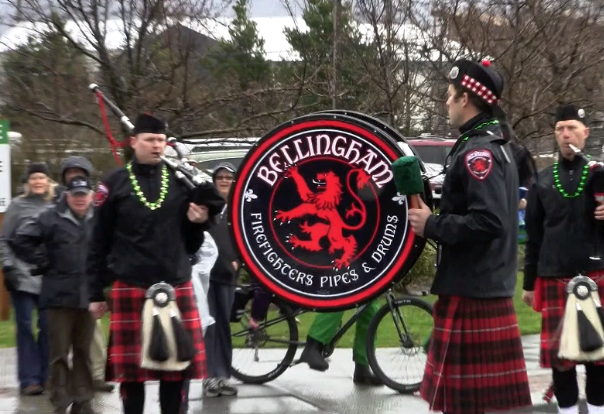 * The Bellingham Firefighters Pipes & Drums band has, unofficially, become our house band! We’re delighted that they feel welcome enough here at the brewpub to just drop by for spontaneous performances and entertain our customers with their tunes. * Our General Manager, Janet Lightner, has been the driving force behind Bellingham’s St. Patricks Day Parade and we were thrilled to help her put on another successful parade in 2011 despite the unfavorable weather. Amazingly, it’s almost time to start thinking about next year’s parade too! This year, the 2011 Paddy’s Day Parade will fall on the 17th – St. Patrick’s Day itself, so mark your calendars and plan on a whole day of Irish-inspired festivities. * We brewed the very first Ski to Sea ESB – commemorating 100 years of racing and look forward to continuing that tradition next year. And, the Boundary Bay Brewery women’s Ski to Sea Team enjoyed another win in the Competitive Women’s Division and continues to be the ONLY team in Ski to Sea history to win their division 11 years in a row! * We are thrilled to have been named the Best Brewery in Washington, the Best Brewpub in Washington and the Best Scotch Ale in the Northwest by the Northwest Brewing News Reader’s Choice Awards and were named the Best Bar in Bellingham by the Bellingham Herald Readers Choice Awards. 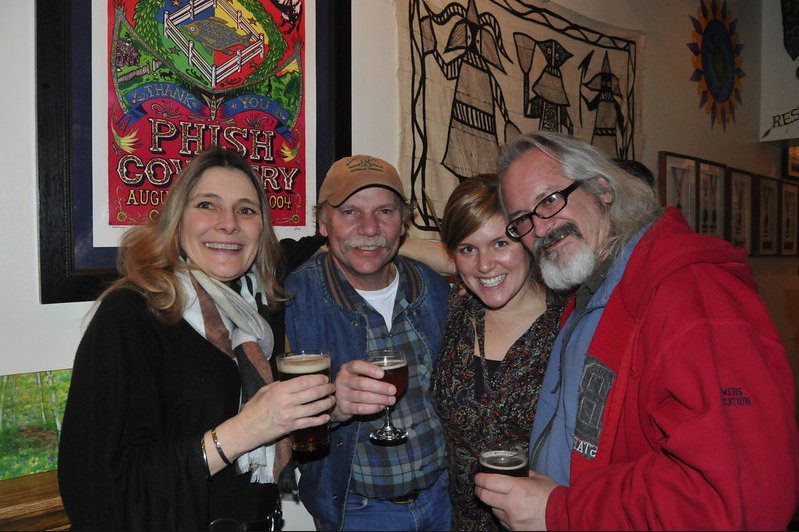 As we look back on 2011 and ahead to whatever may come in 2012, we want to take a moment to say thank you to all of YOU – our beloved friends and customers who have become a part of the Boundary Bay Brewery family! We are so proud to be a part of this incredible community (both Bellingham and the craft beer community at large) and honored to have your support as we move on to another year of handcrafted beer and great local food. We truly couldn’t do what we do without you. Cheers, from all of us here at Boundary Bay Brewery! The Adopt A Stream Foundation (AASF) is having a Christmas Tree Rental and Holiday Extravaganza this Saturday Dec. 17, 10am to 3pm at the Northwest Stream Center (600 128th St SE. Everett, WA ). 200 live trees will be available to rent for $25 to $35 and you have your choice of 3’ to 4’ high Sitka Spruce, Western Red Cedar, and Douglas fir. Any trees returned in good shape will be planted in 2012 by the AASF “Stream Team” of staff and volunteers! The trees will be relocated next to local streams to provide shade that keeps water cool for our salmon runs – a great way to enjoy the holidays and to bring in the new year!! In addition to the Christmas tree rentals there will be art and gifts for sale. Adopt-A-Stream Foundation members receive a 10% discount off all items. Boundary Bay Brewery‘s own Graphic Designer, Tammy Findlay, will have 4 or 5 pieces of new artwork featured during the Holiday Extravaganza art show! 30% of the proceeds of her art sales will go to the NW Stream Center. Here’s a sneak peek of her work!